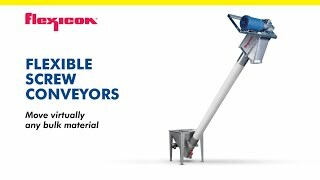 BETHLEHEM, PA - A new BLOCK-BUSTER® Bulk Bag Conditioner from Flexicon Corporation features a laser safety curtain that automatically stops the system's hydraulic rams, scissor lift and turntable if the laser beam is obstructed, eliminating the need for safety-hinged doors and interlock switches for operator safety. 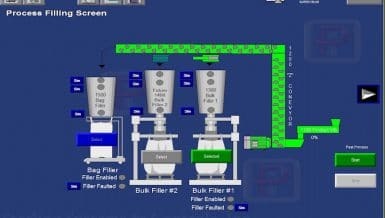 Flexicon’s Hydraulic Bulk Bag Conditioner loosens bulk solid materials that have packed during storage and shipment. The number and pressure of hydraulic ram actuations, the height of the turntable, and the number of 90-degree rotations are user adjustable. 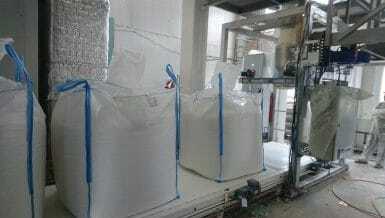 The system controller and hydraulic pump can be mounted on the exterior of the frame or remotely. 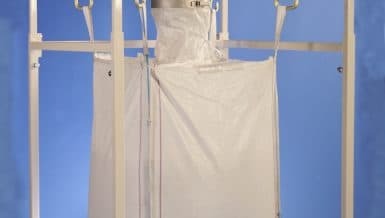 Available as a stand-alone unit or integral component of a bulk bag discharger, the unit measures 2210 mm H X 3378 mm W X 1981 mm D, accommodates bulk bags of all popular sizes, and requires only an electrical power connection for operation.